This is a portrait of the Henry Thiles family. 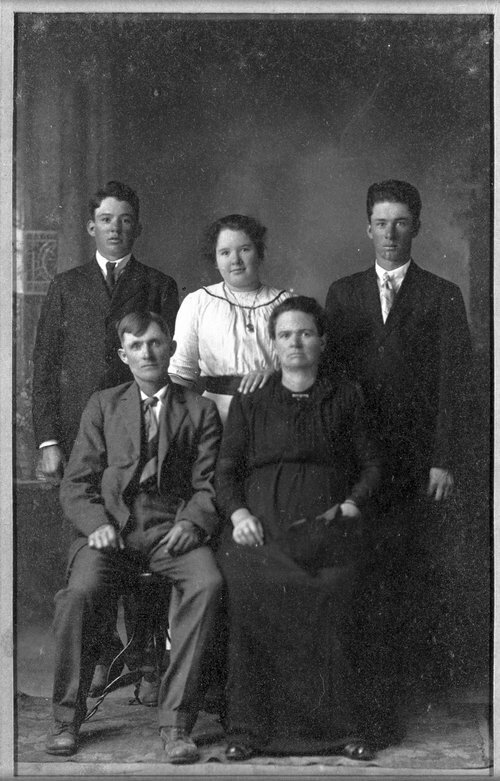 Back row: unidentified man, Erma and Ed (possibly). Front row: Henry & Ada Thiles, unidentified location.